Free Emory MBA Essay Samples | Aringo consultants are the top in the world! Leadership is not only about driving people to reach organizational goals, but also about helping individuals to become their best possible version. Sometimes it’s required for a leader to be compassionate and connect with team members on a more personal level to help them grow. I still remember the inner satisfaction I felt when I helped a colleague who was going through a Performance Improvement Plan (PIP). Failure to make improvements during this period would result in termination. I was shocked to see that no one came to her immediate aid or even encouraged her. In fact, many bet that she would quit. Rather than giving up on her, I decided to step up and explore the possible root causes of her performance. From spending time outside of the work environment, I learned that she had just moved to the city and initially it took her a while to settle down. The work culture was different here and she was finding it difficult to adjust. The lack of prior experience in the security domain didn’t help her cause either. I began to invite her to lunch meetings with peers which made her more comfortable with the team. She began to feel more encouraged to speak up about her initiatives and spoke more confidently in group meetings. Meanwhile, I also initiated a product training program to help her build stronger fundamentals. After few weeks of mentorship, I saw her confidence and quality of work improve. After several months, she received recognition for outstanding performance and was promoted within the group. From this experience, I learned the importance of being sensitive to everyone’s individual situations and tailoring my mentorship style to bring out the best in every team member. I also realized that it just takes a small step to make a significant impact on one’s life. The best piece of advice I’ve received is to always believe in my abilities and to never give up. I joined ______ as an intern and did not know any members of the team. My inexperience and minimal available supervision were already getting the better of me. But things started going downhill a month into the internship. I was informed my family that my father had to go through a major heart surgery. To further compound the situation, my family had to rely on me financially as he was recovering. The familial responsibilities were taking a toll on my work. I thought of giving up and decided to share these thoughts with my father. He advised me that I must show perseverance in the face of adversities as these situations are part of life. His words struck a chord with me and I resolved myself to not let these situations affect my work or my responsibility towards my family. With the belief that this too shall pass, I set out to push beyond my physical and mental limits. I spent many days working relentlessly at the office while also spending nights at the hospital by my father’s bedside. My efforts materialized as my manager applauded my commitment. With hard work, I became the first intern in my class to obtain a full-time employment. Subsequently, that advice has become bedrock of my life ethos and a guiding principle in achieving my goals. Through this daunting experience, I learned the importance of being patient and developed a “never quit” attitude. In sharing these experiences, I hope to encourage my peers at Emory persevere in the face of adversities in the organizations we will join. Along with the more than 1.5M people who have left Venezuela in the past decade, I never wanted to leave my home. Unfortunately, the social, economic and political circumstances have made it impossible to stay for anyone with an option to leave. However, I left Venezuela with a plan to return one day, better educated and more prepared. I am passionate about rebuilding my country, ravaged by the Chavez-Maduro regime. A country blessed with abundant resources, Venezuela has the potential of becoming one of the strongest economies in the world. I believe that a regime change is imminent, and I am positive that, with it, the economy will thrive as it once did. With the business and multi-cultural knowledge I have acquired until this point in my life, and will continue to develop during my MBA, I am confident I will be able to help rebuild The Land of Bolivar. In the short term, I could shift production of the family business’ products back into the country, thus creating employment while improving margins. As a business owner, I plan to work with key political figures in a new regime to unleash the massive potential of the local economy. Ultimately, I dream of founding a Venezuelan stock market that would encourage foreign investment and increase investor confidence. I don’t see myself living anywhere else in the long-term. I envision my (future) kids studying at the schools I attended and watching the Leones del Caracas baseball games with me, as I did with my father. In late 2016, the owner of Smart Capital decided to merge all his financial services companies into one conglomerate. The CEO asked me to be the operations manager for the entire group. The operations department was going to triple in size, which meant that six new team members would be joining three that I had trained myself. Each team member was accustomed to certain platforms, work hours, financial products, methodologies and managers. It was my goal – first and foremost – to unify the group and align procedures and expectations. I held personal talks outside the office with each member, where I explained the new department’s functions and Key Performance Indicators. I asked everyone to share their concerns and expectations and to tell me about their areas of expertise. Following these sessions, I spoke to the whole team, providing a vision for the department and motivating them to give me their best as we formed a new, cohesive team. My second challenge was to ensure that all nine team members achieved competency in new areas of responsibility. To encourage knowledge sharing, I set up a system in which “experts” on the team would work with “novices” in order to bring everyone to high functionality in a variety of financial services, software, trading platforms and payment service provider workflows. After only a month, our team went from 35% universal competency in all tasks to 70-80%, an achievement recognized by the CEO. From this experience, I learned how important transparency and effective communication are when managing others. When corporations are reorganized, it is especially important to empower employees. Perhaps more importantly, the success of our team taught me the potential of business to facilitate cooperation and understanding across cultures. My short-term post-MBA goal is to become an investment banking associate focusing on Latin American or Emerging Markets at a financial services company such as JP Morgan or Wells Fargo or, thus enhancing my analytical, financial and regional knowledge. Doing so will help prepare me for my longer-term goal, which is joining the family home-finishing business in Venezuela, initially in the financial department, and helping to expand it throughout Latin America. By joining the business in my area of expertise, I will be able to learn the ins and outs of the market directly from my father, eventually running the company, opening locations throughout the continent, and achieving stable growth. By joining a financial services firm post-MBA, I will also be hedging against the possibility of Venezuela taking a turn for the worse by preparing alternative career options in the US. The financial, analytical and managerial skills I developed during my time at Smart Capital and now at Clal Industries have prepared me to maximize my MBA experience and achieve my goals. Namely, at Smart Capital I worked extensively in the financial analytics department, while my knowledge of the company’s processes and my contributions to its growth from 4 to over 100 employees eventually earned me a position as operations manager. Consulting and observing my father’s business success led me to realize that I must develop and improve my own negotiation, sales and presentation skills, as well as my knowledge of the retail industry. I, therefore, joined Clal Industries as Executive Assistant to the CEO. Here, I am gaining first-hand exposure to how business is done at the highest level in many industries and regions. 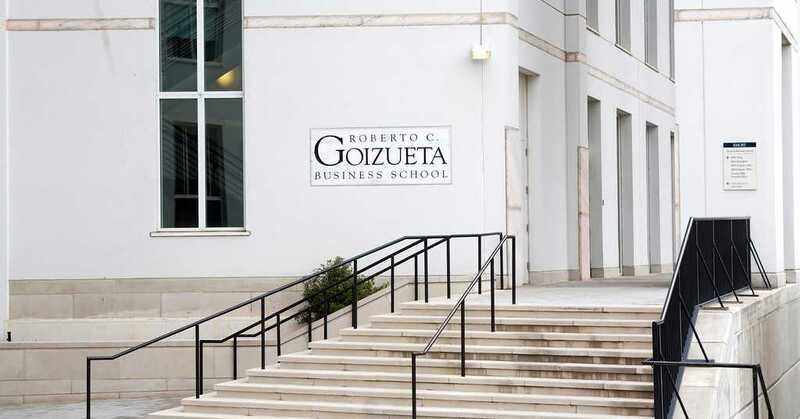 The uniquely customizable Emory MBA will provide the perfect blend of theoretical and practical business that will best prepare me to achieve my goals. How can you improve your Emory MBA Essays?